All Dreams and Now Resorts & Spas guests enjoy the Unlimited-Luxury vacation concept where everything is included, including accommodations, 24-hour room and concierge services, and gourmet, reservations-free restaurants, bars and lounges serving premium domestic and international beverages. Sunscape Resorts & Spas offer families, friends and singles Unlimited-Fun vacations where everything is included from spacious accommodations to limitless dining options including room service, day and nighttime entertainment for every age and more. Dreams, Now and Sunscape Resorts & Spas also feature fully-supervised children’s’ programs at the Explorer’s Club for Kids where children, ages 3 to 12, enjoy arts and crafts, sandcastle competitions and weekly camp out adventures as well as movies on the beach, ocean trampolines and Euro-bungee. 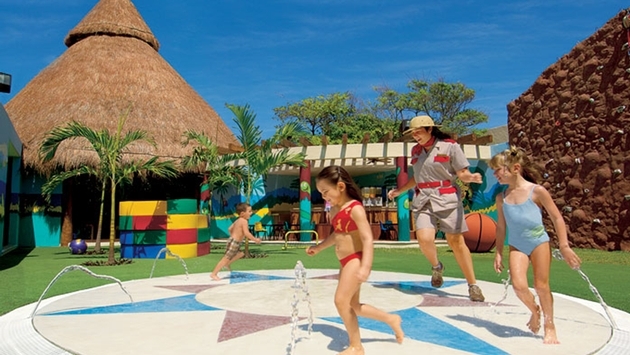 For older children, the resorts offer The Core Zone Teens Club where teens enjoy a variety of land and sea adventures, competitions, gaming systems and excursions. In addition to these kid-friendly activities, adults with children have the opportunity to participate in the “Dreaming of Freedom” program. Between May and October, guests at select resorts have the chance to take part in the daily turtle release event by interacting with a baby turtle before releasing it into the sea.